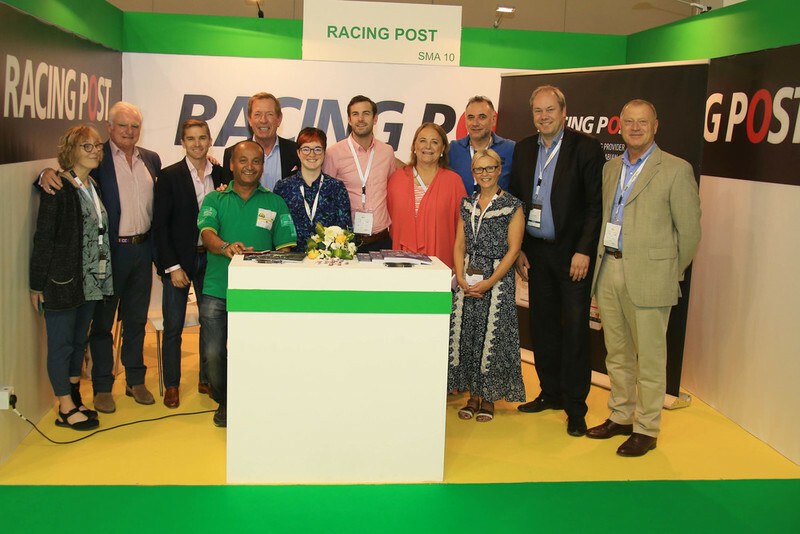 Welcome to a new Racing Post sponsored blog, covering The International Hunting & Equestrian Exhibiton (ADIHEX) in Abu Dhabi, September 12 - 16, 2017. 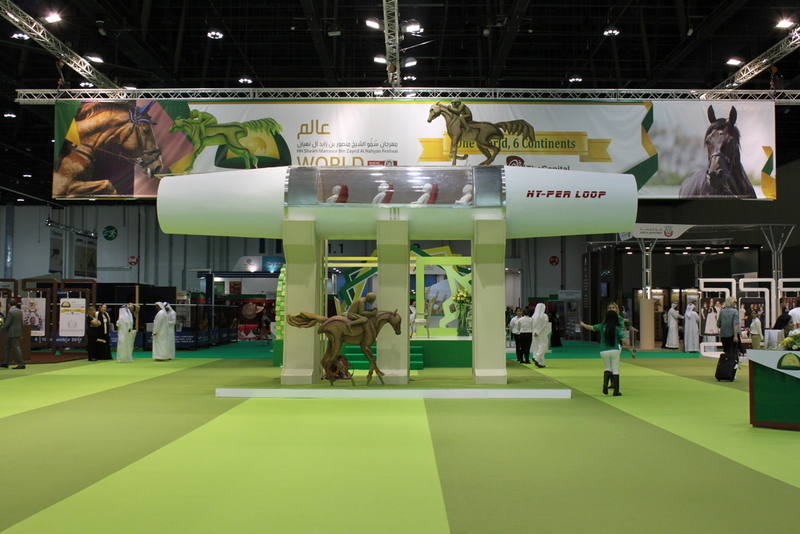 ADIHEX is sponsored by HH Sheikh Mansoor Bin Zayed Al Nahyan Global Arabian Horse Flat Racing Festival. Welcome to the live coverage of the ADIHEX - Abu Dhabi International Hunting & Equestrian Exhibition - that takes place from September 12-16. 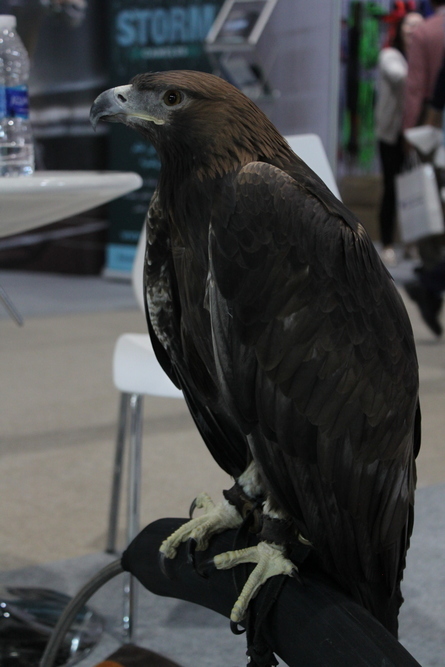 Sponsored by HH Sheikh Mansor Bin Zayed Al Nahyan Festival, the convention features a mix of exhibits from falconry to equestrian. My name is Zoe Vicarage and I'll be providing you live updates over the five days with pictures, videos and news as it happens in Abu Dhabi. A model of a Hyperloop greets visitors who walk into hall 11 here at ADIHEX. The Hyperloop has been in the news recently in the UAE after Dubai agreed a deal with US startup Hyperloop One to evaluate using the Hyperloop between Dubai and Abu Dhabi. Earlier this year, the US operation revealed its concept for the transport system that it claims can travel at roughly 700mph and take passengers from Dubai to Abu Dhabi in 12 minutes which done in a car takes roughly two hours. 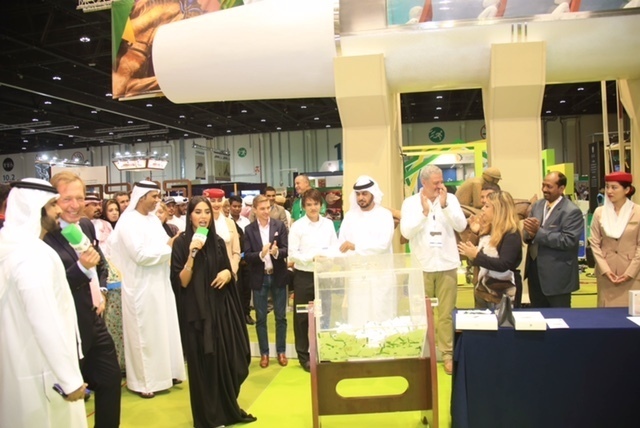 Among the many stands that can be found in the equestrian section of the the Abu Dhabi National Exhibitions Centre is the Texas Arabian Breeders Association (TABA). Formed in 1988, TABA is dedicated to promoting the Arabian breed 'for all the qualities that have made him endure for centuries.' Vanessa Moreau-Sipiere, a representative of TABA, is attending the ADIHEX convention for the first time. She said: "My parents have been involved in breeding since before I was born so I just grew up with racing and saw it evolve myself. Coming to these events is interesting to just communicate with the different countries as everyone is so different and to interact to get new connections is definitely beneficial. To meet everyone is great as well because we want that international presence." Three courses in Texas hold Arabian racing, a sport that has a developing presence in the US. Moreau-Sipiere added: "It's exciting to see the people who take an interest because everyone is used to seeing the Arabians as the pretty horse with their tails over their back. 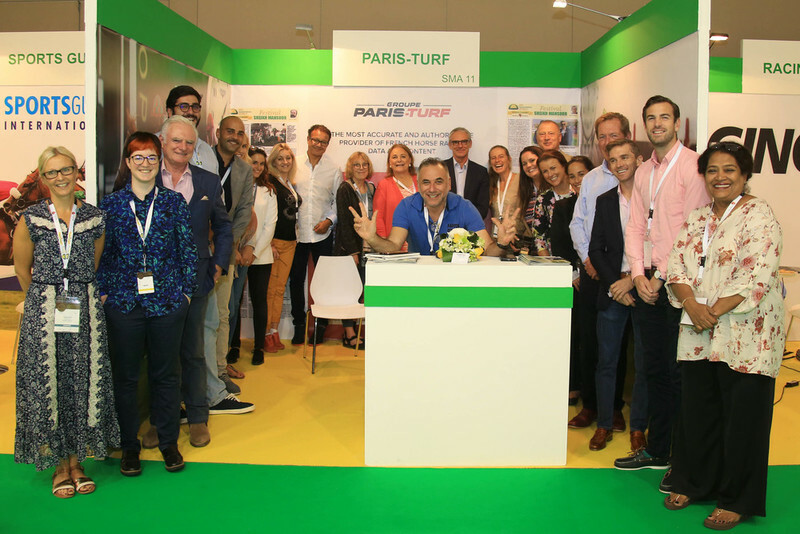 "The [Sheikh Mansoor] Festival has certainly helped as it draws a lot of International attention as well and we're able to have a much bigger fanbase than just the locals. We get people from all over the world who come for the races, there's the different sponsors and so we definitely have a lot more exposure. The HH Sheikh Mansoor Bin Zayed Al Nahyan Global Arabian Horse Flat Racing Festival, one of the world’s most respected horseracing organisations run under the patronage of His Highness Sheikh Mansoor Bin Zayed Al Nahyan, deputy prime minister of the UAE and Minister of Presidential Affairs, has announced its nominees for the Women of the Future Sport Award category. 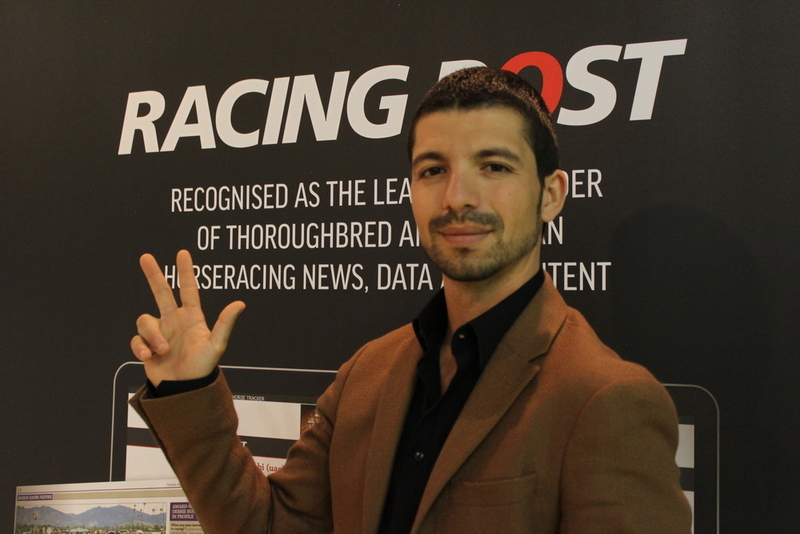 UAE champion jockey and festival ambassador Richard Mullen will join the judging panel to provide further context to the racing industry and to assist in the selection of the sport category finalists. 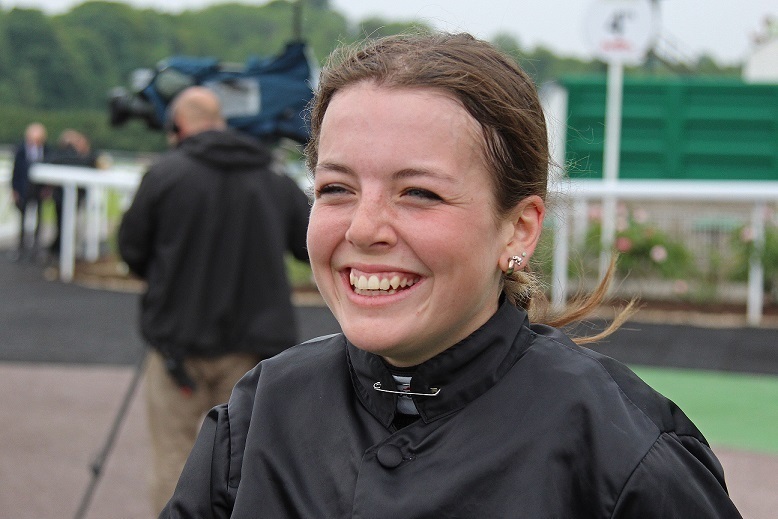 Endorsed by the Arabian Racing Organisation and the Amateur Jockeys Association of Great Britain, the following three women have been nominated for their stand-out achievements in racing this year. They are: Page Fuller, Ellie MacKenzie and Joanna Mason. Who I will profile individually in the blog. Fuller has made a return to race riding following a serious ankle injury in 2016 and is enjoying tremendous success by riding winners for trainer Jamie Snowden. To date she has a tally of 54 winners including Arabian, Flat, National Hunt and point-to-point racing and has ridden abroad in countries from France, Germany, Belgium and Abu Dhabi. 2013 saw Fuller crowned the AGA Ladies Point to Point Champion, Reserve Lady Rider Champion in her first season in Arabian racing in 2014. The following year the accolade of Champion Arabian Lady Rider went her way and she ended the 2016/17 season as the Champion Lady Amateur National Hunt Jockey. MacKenzie, a Flat and amateur jockey, is now based with PD Evans in Wales after National Hunt success with the likes of Jonjo O'Neill, Paul Nicholls and David Pipe. She currently has two wins and several placings from 16 amateur Flat rides and is achieving notable success on the racing circuit. As well as riding under rules, MacKenzie has been an ARO for three seasons and rides for trainer Jenny Lees. She has six wins under her belt in Arabian racing including a Group 2 victory aboard Riyam at Newbury on Dubai Day. 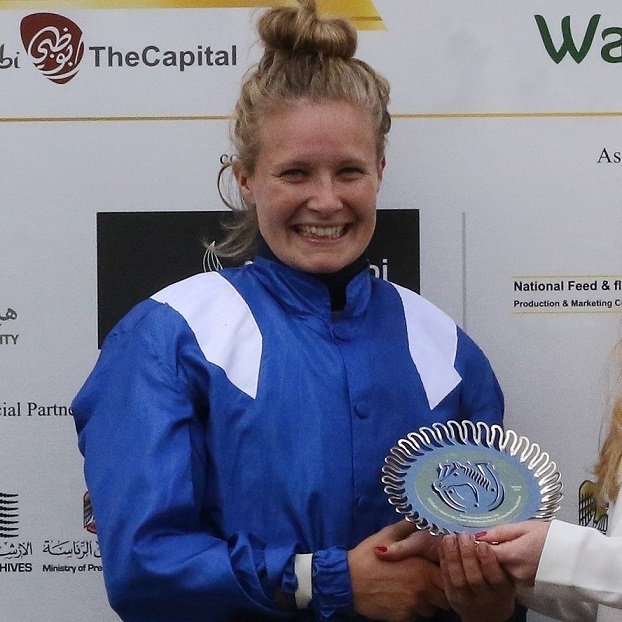 During the inaugural UAE Abu Dhabi Day at Chelmsford Racecourse earlier in August, Ellie came third in the UK leg of the HH Sheikha Fatima Bint Mubarak Ladies World Championship race. The granddaughter of legendary Yorkshire Mick Easterby, Mason was a successful point-to-point jockey and jump jockey until she broke her back in two places in a serious point-to-point fall in 2015. Mason has since made a full recovery and has subsequently won three times at Epsom. This year saw her partner Tapis Libre to victory in the Ladies' Derby Handicap at the racetrack. In the Arabian sphere, she was named Champion Female Jockey in 2016 and is currently leading this year - three wins ahead and is second overall in the male and female championships. Last year Mason came runner-up in the Lady Amateur Championship and is current joint leader for 2017. The National Arabian Racehorse Association of Australia has been in operation for over 20 years and they are just a number of Arabian organisations to be attending this year's ADIHEX convention. Horse racing is the third largest employer group in the nation and there are 367 registered racetracks where meetings are held. They are the registered authority for Arabian racing in the country and are recognised by the International Federation of Arabian Horse Racing. At the end of 2016, Australia had 69,440 registered pure bred Arabian and 2,627 pure bred Arabians aged from three years old to six years old eligible to race in 2017. Sheikh Nahyan Bin Mubarak Al Nahyan, the minister of culture, youth and social development for the United Arab Emirates was in attendance at the ADIHEX conference early on Thursday morning. He was presented a copy of the HH Sheikh Mansoor Bin Zayed Al Nahyan Global Arabian Horses Flat Racing First Year Book 2016 by Lara Sawaya, executive director of HH Sheikh Mansoor Bin Zayed Al Nahyan Global Arabian Horse Flat Racing Festival. I talk to champion UAE jockey Richard Mullen at the ADIHEX convention here in Abu Dhabi about his life in the country and his bid to retain his crown. 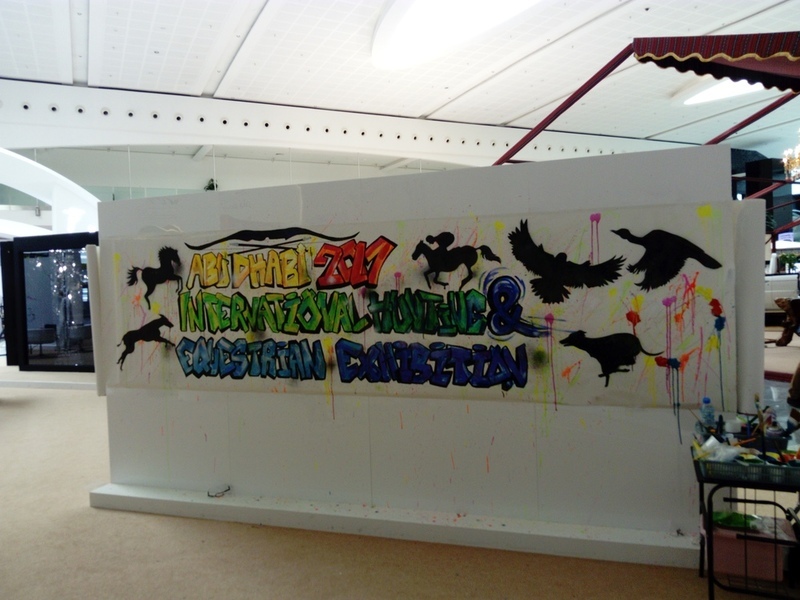 While much of the ADIHEX convention is dedicated to hunting and equestrian, one of the halls features a host of art on display. This includes the above graffiti work that highlights what the convention is all about. 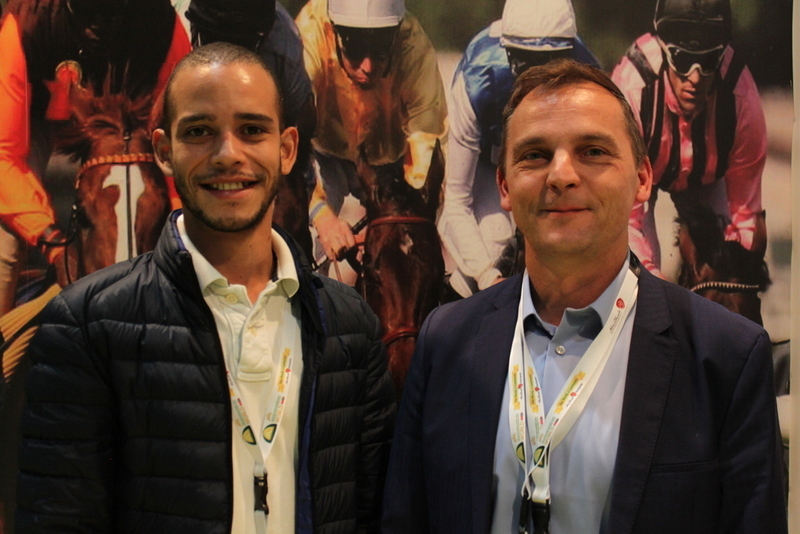 Kai Schirmann, director of the German Jockey School in Cologne, has a significant role to play in the HH Sheikh Mansoor Festival, acting as a point of contact for all the jockeys who take part in the races throughout the year. Schirmann said: "I am the jockey coach for all the riders who take part - that means apprentices and amateur riders. I take care of them when we are travelling around the world. I wait for them at the hotel so I'm there when everybody arrives and sometimes in countries like France and America, I am here a day before racing starts to sort out their license, speak to the stewards and walk the track. "Walking the track is so that I can explain to the jockeys if we're riding on turf what they have to look for and sometimes there is a long or short straight and that's when I tell them if the race will be run slowly or run very fast. This is what I tell them. Of course I take care of them and sometimes if they arrive without bag and don't have saddles, boots, jodhpurs I look after all that for them." Schirmann (right, with Jackson Rojas) also told me about the differences jockeys encounter when riding Arabian horses. He added: "They are beautiful horses [the Arabians] and I know that they have a small neck and a little bit smaller than thoroughbred horses. You also have to ride them completely different, in thoroughbred racing you ride very short but in Arabian racing you would ride a little bit longer. There necks are shorter and if you ride too short on an Arabian, you are too high over the horse. All the jockeys, apprentice and amateur riders will ride longer than they do on thoroughbreds." There are a number of people from the world of Arabian racing here in attendance at ADIHEX including Haras de Monlau, which was founded in 1989 and has bred a number of leading Arabian horses such as Al Mamun Monlau, Al Hantar Monlau and Saladin De Monlau. For Marie-Ange Bourdette, who has been breeding Arabians for over 30 thirty years, she gives this advice. "For Arabian horses, don't think with money first. Think with your heart first and they will give that love back to you." Richard Mullen is not the only jockey to act as ambassador for the HH Sheikh Mansoor Festival and he is joined in that role by fellow jockey Xavier Ziani. It is 13 years since Ziani began his career in the UAE and up until that point, he had never ridden an Arabian horse. Ziani said: "When I was in France, there was not many Arabian races in France compared to what there is now. At the beginning it was a really funny experience for me because the Arabian horses are smaller and they don't react the same as thoroughbred horses. "It took me time to understand them." But since making the switch from thoroughbreds, Ziani (pictured below) has come to prefer riding the Arabians and added: "I believe that every jockey can ride a thoroughbred as they are pretty much all the same. Arabs are all different, they're all funny to ride but when they are really good they are better than anything." As ambassador for the HH Sheikh Mansoor Festival, Ziani believes that the role encompasses being part of an institution that not only sponsors Arabian racing but promotes the races around the world. He said: "We travel everywhere in the world, we've seen so many races, different racetracks and our job is to advise the young jockeys. Not only to ride but how to act with people, how to dress, how they should face the trainers and owners when they speak to them. "When I first started, there was no-one to tell me when you talk to an owner or trainer you must act like this. Or your dress code has to be perfect and when you are young and 16, 18, 20 you want to be fashionable more than classy which sometimes doesn't match with racing. "We are here to tell them the mistakes that we did and that they should not do. In every sport I think it's really great to have someone at the top to tell you look be careful with what you're going to do, if you ever fly somewhere else and don't know the culture of the countries, just act like this, do that, don't do that because myself and Richie have travelled to many countries. We have experience with that so we can share that with the young riders." Derek Thompson takes on the RPTV 'Masterminded' challenge. Play the video to hear his answers to our quick-fire questions! 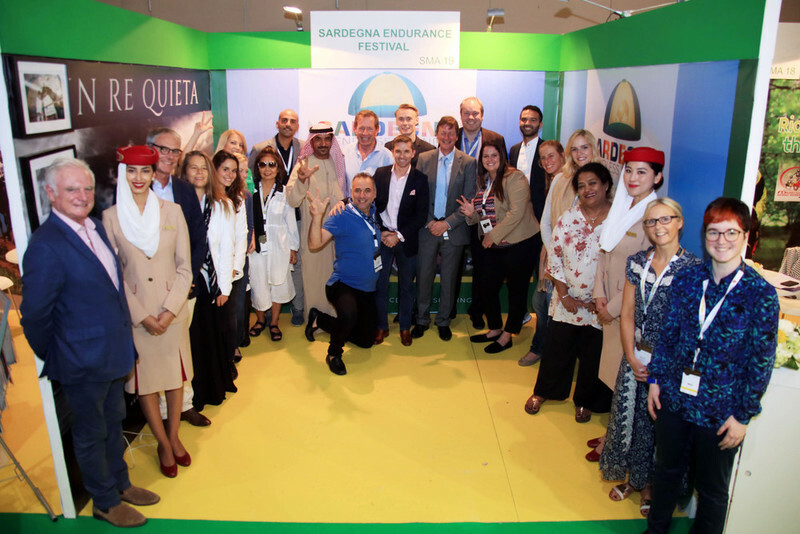 Every night throughout the ADIHEX conference, the HH Sheikh Mansoor Festival has held a raffle live on YAS TV with a host of prizes on offer. They include iPhones, cash, diamonds and much more. 7.15pm each night has seen a huge crowd gather in front of the Hyperloop model underneath the HH Sheikh Mansoor Festival as members of the public who have entered the draw, wait to see if they happen to be a lucky winner. TV presenter and commentator Derek Thompson (above left) is on hand to take the crowd through proceedings which creates a unique atmosphere as the winners names are called. 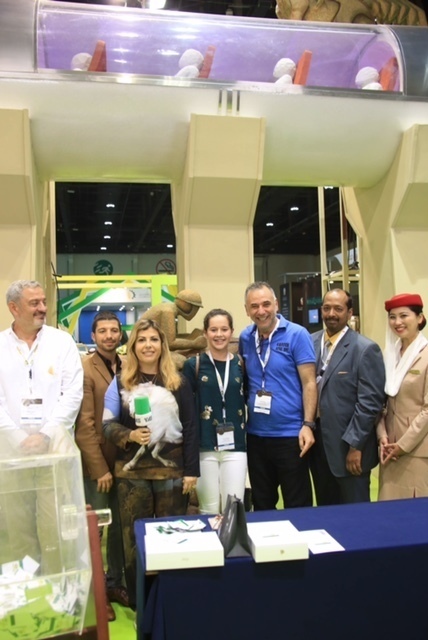 Lara Sawaya (holding the microphone), executive director of HH Sheikh Mansoor Bin Zayed Al Nahyan Global Arabian Horse Flat Racing Festival, has been on hand during the raffles each night. While attending ADIHEX on Saturday, there was a busy day of Arabian Racing in the UK with Chelmsford hosting seven races sponsored predominantly by Wathba Stud. The final race on the card at the track was sponsored by the Arabian Racing Organisation who have been present in Abu Dhabi during the course of the last five days. Doncaster was also the setting for an Arabian race on the card as during St Leger Day, the President Of The UAE Cup (UK Arabian Derby) saw the Charles Gourdain-trained Nafees land the Arabian Group 1. Owned and bred by the Royal Cavalry Of Oman, this was the second Group 1 victory for Nafees having landed the Qatar Derby for four-year-old Arabian horses in June of this year. 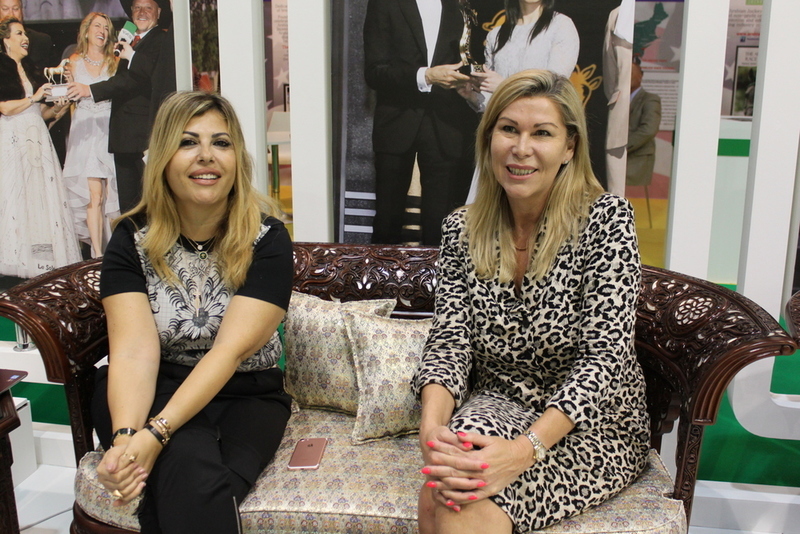 There were a number of female jockeys who take part in the HH Sheikh Mansoor Festival present at ADIHEX and I was able to catch up with Lisa Lindbjerg, 19, and Tamara Hofer, 24. They both told me that it is great that female jockeys have the opportunity to compete in a series such as this and describe that there is a real sense of 'family' among all the jockeys who ride in the races. In March of this year, Lindbjerg took centre stage when she rode the Jerenesto Torrez-trained Ruby AA to victory in the Festival’s HH Sheikha Fatima Bint Mubarak Ladies World Championship race. 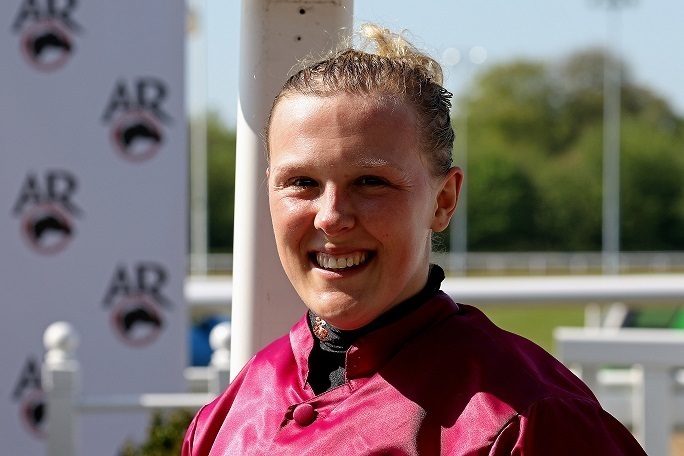 Based with two trainers in Aarhus, Denmark, Lindbjerg will return to Abu Dhabi in November to take her place in the HH Sheikha Fatima Bint Mubarak Ladies World Championship. That is something she is very much looking forward to. While Hofer has not qualified for the finals, she is hopeful that in the future she will be able to compete in them one day and both will continue to take part in a series that has already done so much to promote young women jockeys.